There are four obelisk monuments in this photograph. The one in the middle has been toppled. The obelisk to the far left is broken. The pair to the left mark the graves of Thomas Brown and his wife. 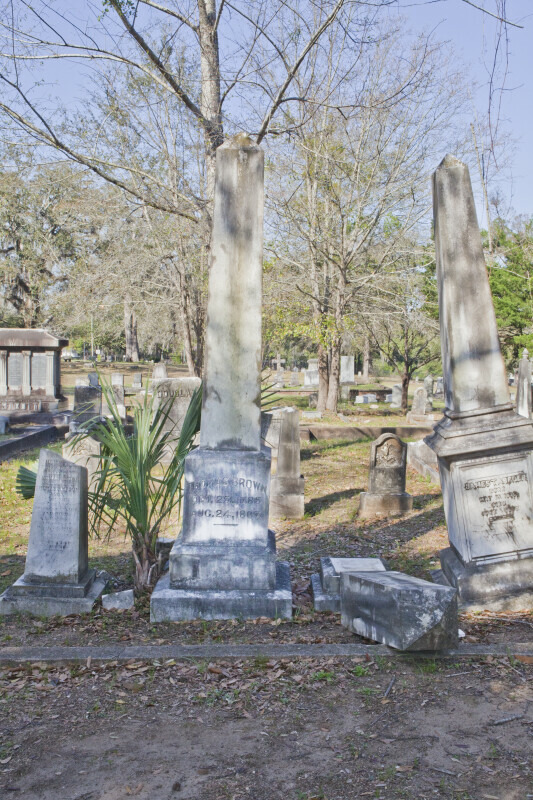 The pair to the right mark the graves of James Archer and his wife. Brown was the first Whig Governor of Florida, and Archer was Florida's first Secretary of State.